Thank you to parents, teachers, and community members who responded to our November 2014 survey request concerning updating our district vision, Griswold 2022 to our updated vision, Griswold 2025. In December, the committee of teachers, administrators, and parents who were assembled two years ago to review the information from the community survey gathered together again in order to review Griswold 2022 and make updates to our district vision with input from 179 survey responses. As a result of each school’s and the district’s commitment to character development, the committee has added to the four student outcomes (Communication, Critical Thinking, Collaboration, and Creativity) a 5th outcome, that we will call “The 5th C”: Character. As a result, the district has a bold updated vision that represents the most critical expectations for our students as we plan for education for the next 10 years. 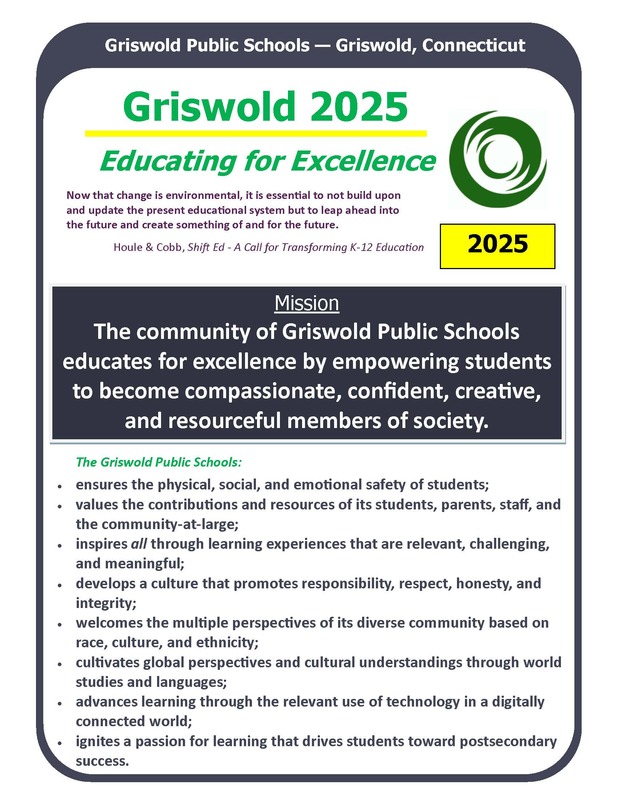 Griswold 2025 is an important document for our district. While we certainly are fully committed to the new Connecticut Core Standards that highlight what our students should know and be able to do, we also know that there are 21st Century Skills that are critical for our students’ success in college and careers. 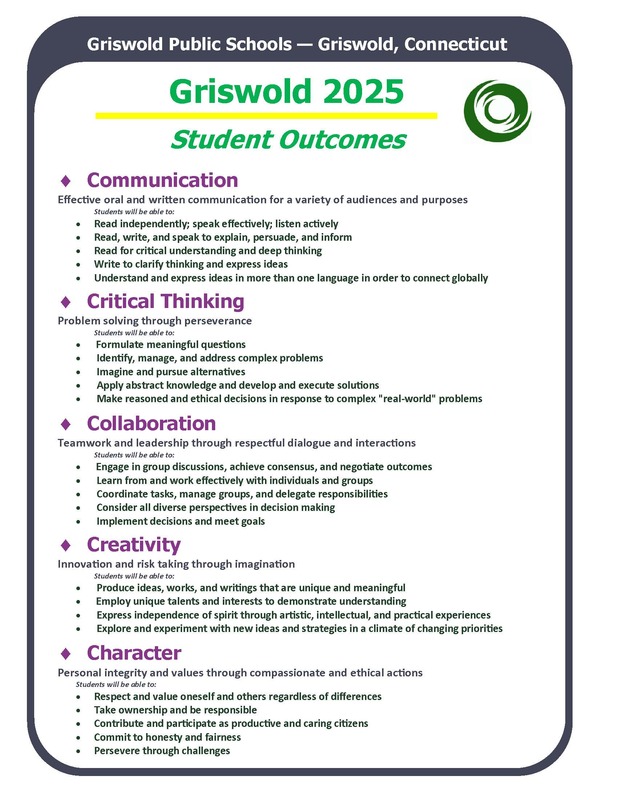 Our newest district vision, Griswold 2025, highlights those skills on which we will focus in all of our classrooms, Pre K – 12.